Gift-giving is an art in every culture, but when it comes to gift-giving in international business, it turns into fine art. In some cultures, people exchange presents at the start of a business relationship, while in others only to appreciate work done well. Telling gifts from bribes is a faculty all by itself – as some Dutch negotiators learned the hard way. What does the pen mean? They arrived in Seoul for negotiations with a Korean supplier. 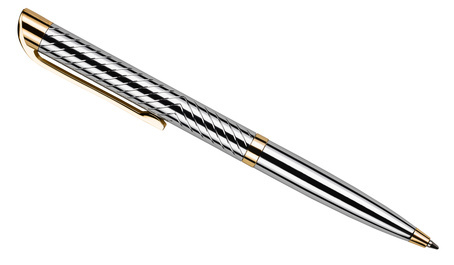 After the proper exchange of cards, the Koreans handed to them a set of silver pens. Perhaps it was jetlag, perhaps a headache, but the Dutch felt uncomfortable and refused, ever so politely. The next day, the Koreans arrived with golden pens. Clearly, cultural perspectives collided: The Dutch team’s fear of corruption versus the Korean team’s mistaking a polite refusal for a call for better gifts. Ironically, what the Dutch team did know about Korean culture – sensitivity to loss of face – only worsened the misunderstanding as their delicate denial failed to alert the Koreans that gifts were not the start of a beautiful friendship. Cultural knowledge is important, but once we start interacting, our success depends on many other factors. Culturally sensitive negotiators would have known that pens are neutral in Korea. They would have also brought a gift, carefully chosen to respect status differences and be meaningful to the entire Korean delegation. They would use the exchange of gifts as an opportunity to get to know each other, to express good intentions, and to build a buffer for later, when people need to forgive the inevitable blunders that happen across borders. The most intelligent gift we ever received was from two Korean HR managers: Two small wooden ducks, male and female. Arranging the figures on our desk, they explained that if all is well between husband and wife, the ducks are turned towards each other near the entrance door; away from each other if all is not well. The ducks only had symbolic value, standing for fertility in Korean culture, which is why they are important gifts in marital ceremonies. Over to us to show how well we knew Korean customs! What makes us interculturally effective is both what we know about each other, and how we use our knowledge. This integration of knowledge and competences is central to our Intercultural Readiness Approach.